Camellia tree in the restaurant’s garden. 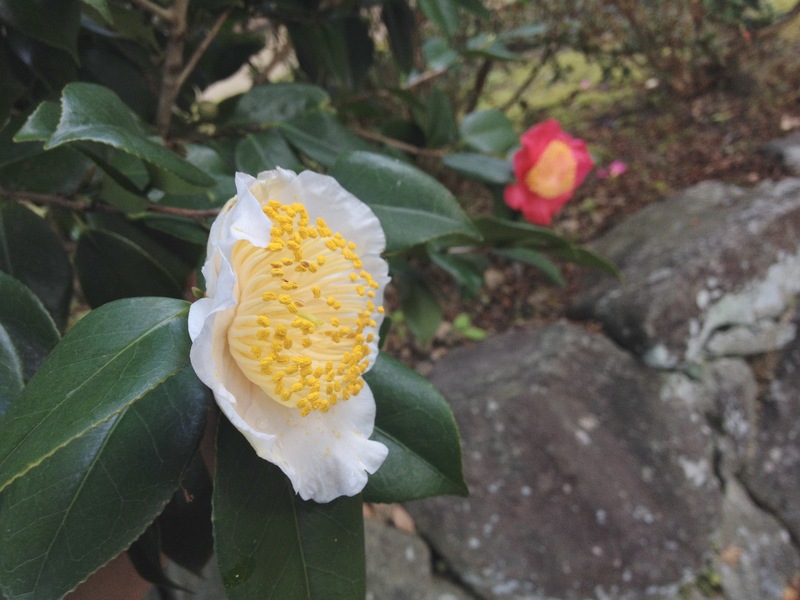 I can enjoy flowers in the current season.This camellia has two color flowers in one tree….. I don’t know in detail. This is a special tree for Japanese people Because the color combination of red and white is a color expressing joy in Japan.